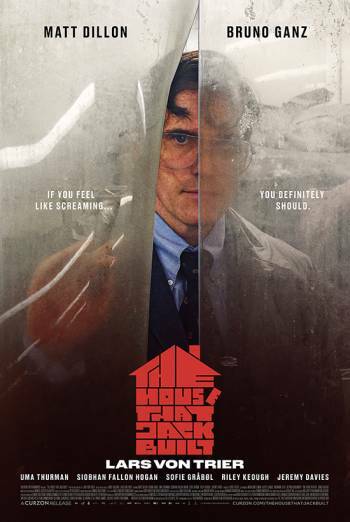 Summary THE HOUSE THAT JACK BUILT is a drama following events in the life of a serial killer. THE HOUSE THAT JACK BUILT is a drama following events in the life of a serial killer. There are scenes of strong bloody violence, including mutilation, when the serial killer attacks his victims. There is some dwelling on the infliction of pain and injury and some of the violence is directed against children. There are scenes of sadistic threat in which the killer toys with his victims, including children. There are strong gory images in the aftermath of violence, including the mutilation of corpses. There are also macabre images as the killer poses the bodies of his victims. The film also contains a scene in which the killer, as a child, cuts off the leg of a live duckling. However, the scene was created using special effects and no animals were harmed. There is also documentary footage of animals being hunted and shot. The film includes documentary footage of the aftermath of the Holocaust, including sight of dead bodies being pushed into mass graves.